We were delighted to see not one but two PureH2O pure water clients featured in Country and Town House’s ‘10 Best Cookery Courses in the UK & Ireland’. We send our congratulations to The Avenue Cookery School in Wandsworth and The Raymond Blanc Cookery School at Le Manoir Aux Quat’ Saisons, Oxfordshire. “As a fast-paced cookery school, The Pure H2O Company’s Quatreau™ Tap has made a real difference to our day-to-day running of the school. The purity of the water is perfect for allowing the flavours of food to shine, while the Boiling function is great for making teas and coffees for our students without having to boil endless kettles! From blanching veg to making ice-cold sparkling drinks, our Pure H20 Quatreau™ is the icing on the cake for our busy cookery school.” – Richard Horsford, Chef and Teacher. And at Le Manoir, the patented Pure H2O water purification system ensures that anyone enjoying the cookery school, hotel or restaurant benefits from the perfect taste and clarity of pure water. 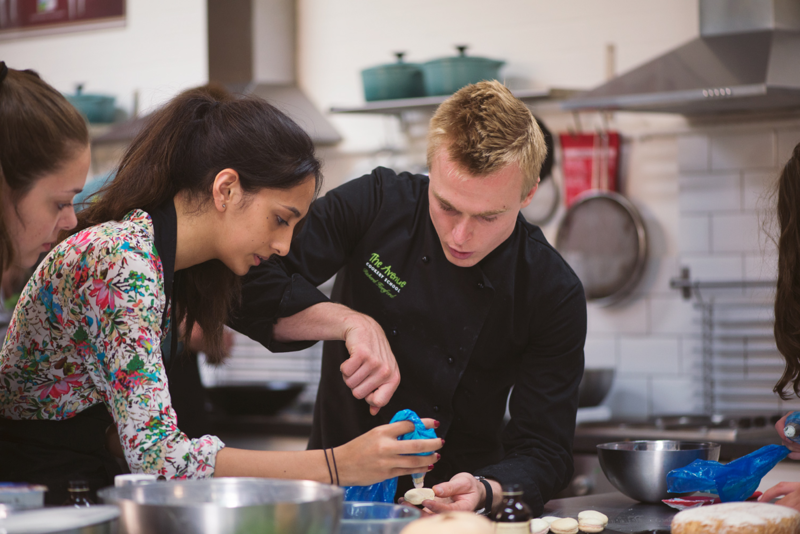 So if you’re looking to brush up on your culinary schools, you couldn’t do better than visiting The Avenue Cookery School or The Raymond Blanc Cookery School. Pure water for commercial and domestic venues. Of course, PureH2O pure water and Quatreau™ multifunction taps are not just for cookery schools, hotels or restaurants. They’re ideal for everyday domestic use, too. Compact and convenient, our purifiers are typically installed under the kitchen sink and our Quatreau Touch™ boiling, chilled and sparkling tap replaces your kitchen tap or can be installed as an additional tap, as you prefer. Find out more about pure water for commercial use.